She was a soft target for the trapper. One of last year’s cubs, likely. She had struggled in the wire snare for more than twenty four hours. It caught her across the groins and abdomen. The more she struggled, the tighter it became. Four times She had circled a branch on the ditch in her attempt to free herself until the branch broke. 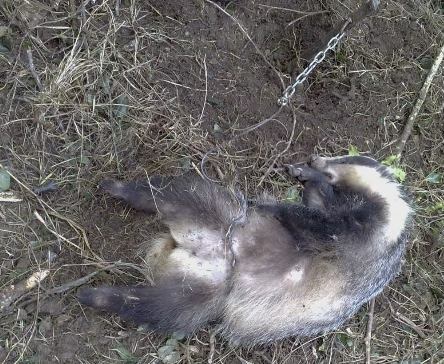 This is the barbaric multi-strand wire snare which the Irish Department of Agriculture describes as a ‘restraining harness’ and would have us believe that the snared badger relaxes in it while awaiting its fate. Exhausted and almost unconscious she lay until locals became aware of her plight. The wire had cut into her body and its marks were plainly seen. The Department will argue that there’s a ‘stop’ on the snare unlike ‘illegal’ snares which are free-running. 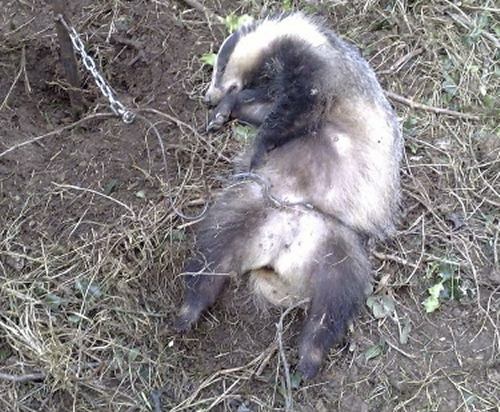 The ‘stop’ in effect holds the animal in an eleven-inch noose, far to tight for an animal the size of a badger. A vet was called to attend the badger but such were her injuries it was necessary to immediately end the suffering. 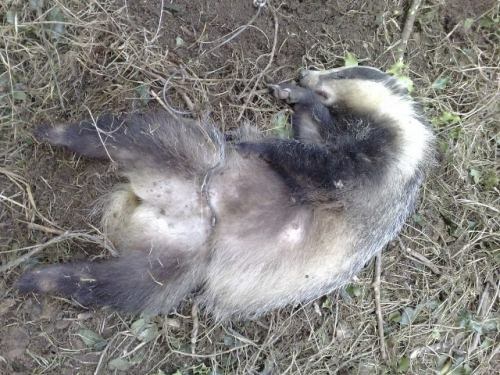 It is a national scandal that the Department, which snares thousands of badgers annually, sees fit to allow the snaring of badgers during their very vulnerable breeding season, January – May (Inclusive) The young sow was checked to established if she was lactating. Luckily, she was not, otherwise her dependent cubs would have suffered the fate that no doubt many other orphaned cubs suffered – a lingering death from starvation and hypothermia. Badgerwatch is now calling on our Government for an immediate halt to its badger culling operations. What have we got to show for almost two decades of slaughtering the animals? Our bovine TB levels rocketed by 13% in 2007.